As of this writing, there are 248 customer comments and 287 answered questions for the Flex Seal Liquid Rubber in a Can. I have read the customer feedback and then condensed the results into this review. I hope this review helps you when shopping for the best roof sealant for your roof. The Flex Seal Liquid Rubber in a Can is very easy to use. Simply pour it out, brush or roll it onto your roof, and let it dry. This roof sealant is non-toxic. It seeps into cracks and holes, allowing it to seal out water. Being both flexible and pliable, this roof sealant is designed to last for years. 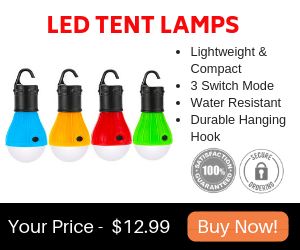 It will not sag or drip in the summer heat, nor will it crack or peel in the winter cold. Once cured, the Flex Seal Liquid forms a durable, breathable, weatherproof barrier that’s resistant to rain, snow, sun, wind, hail, air, moisture, UV degradation, extreme temperatures, and natural weathering. The feedback left for The Flex Seal Liquid Rubber in a Can was overwhelmingly positive. People who used it on their roof had a lot of good things to say. Here is one of those comments, "I had a flat roof redone with heavy asphalt/gravel sheeting. A year later I wasn't happy with the joints where the sheets met, and the gray paint that had been applied was cracking along one area. I had no evidence of leaking, but the joint heat seals just didn't look like they wouldn't eventually peel up. (Won't use that contractor again!) So I used Flex Seal on all the joints and over the cracked areas, and it worked beautifully. The Flex Seal really does create a rubberized surface, and it is holding nicely. Btw, the liquid in the can is much heavier than the spray can is. I used a bristle brush to apply." If you have a pool that springs a leak, you may want to try The Flex Seal Liquid Rubber in a Can to fix it. People who had pools found success at using this product to fix their pool leaks. A customer recounted their experience by saying, "The pool of a water fountain had cracked and corroded from winter freezing. It would retain water for about three days and the leak was difficult to locate. The floor of the pool was vacuumed and all debris removed after which the flex seal was poured in. The self leveling liquid filled all imperfections while an old stiff bristled paint brush was used to apply flex seal to the vertical walls. After 24 hours the pool was filled with water and there were no leaks. 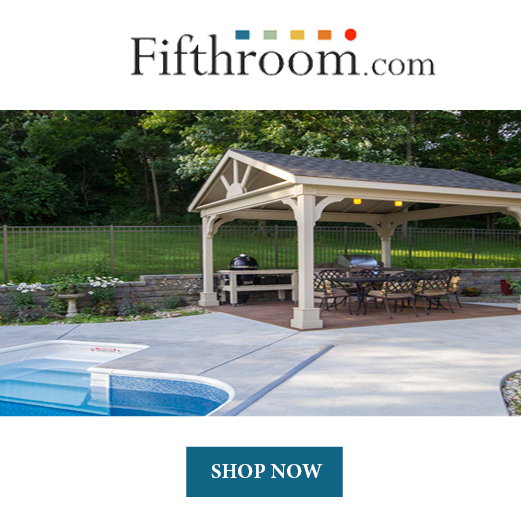 Four months later, the flex seal has remained secure and the fountain pool leak free." 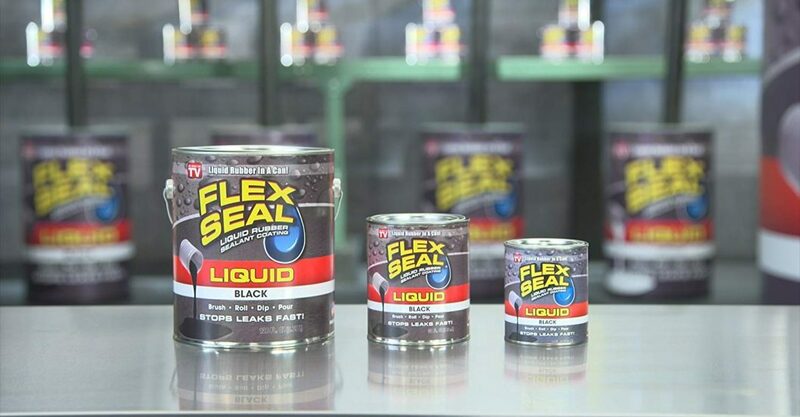 Because the Flex Seal remains flexible, it has advantages over hard curing sealants. A customer who used it on his driveway explained, "If the price is no concern, I like it for driveway cracks and any other exterior weather protection that needs to bridge gaps, flex (duh), and self-seal cuts/punctures. For me, latex concrete repair caulk always shrunk/hardened/cracked. I used a roofing nail to punch a hole right above the bottom rim of the can, I put an air hole in the lid, and I could fill tiny cracks in concrete. First I put a little crushed rock in larger gaps. I put the nail back in the hole to stop it. I used half a gallon for more than 30 feet of crack. I suggest a piece of stiff wire or small brush to smooth/spread it, adhere it to the surface, eliminating pockets. Also with a brush, I sealed a critical piece of wood structure where I would have attempted to use house wrap or tarpaper in the past." Some people commented that they had great results when using The Flex Seal Liquid Rubber in a Can for outdoor flooring. A customer explained, "We have so far used (including black and clear liquids) it on blacktop, concrete, and painted wood, each time with astounding results. We are currently covering our concrete patio with 3 coats of liquid grey to be then sprinkled with grey, white, brown, and black latex chips (to simulate the appearance of granite) to be then covered with three coats of clear FlexSeal. The idea is to mimic a process used to cover a garage floor using epoxy resin, latex chips and polyurethane. Thus far the grey applications are resolving according to plan. Each coat was even cleaned with a power washer to remove accumulated debris in between coats. Power washing has had no impact upon the FS coatings." I personally have used this product on the flooring of a dog therapy pool that I made. Because the pool was made from an 8-foot diameter metal stock tank, it was slippery to walk on. I applied The Flex Seal Liquid Rubber in a Can to the bottom of the pool and then let it cure for several days before adding water. I made this pool in the coldest part of winter in subzero temperatures in my unheated garage, but with the help of a heat lamp directed at the pool bottom, it cured fine. The Flex Seal Liquid Rubber in a Can made the bottom of the pool not be slippery for when my dog needed to use the heated therapy pool. I didn't want him nor I slipping. This product created a perfect non-slippery surface. Yes, The Flex Seal Liquid Rubber in a Can is expensive. If you have to use it over a large surface it may not be affordable for you. But it does do the trick. And it should be way less expensive than having to purchase and install a whole new roof. A customer said, "Worked great did the job, in all honesty overpriced." 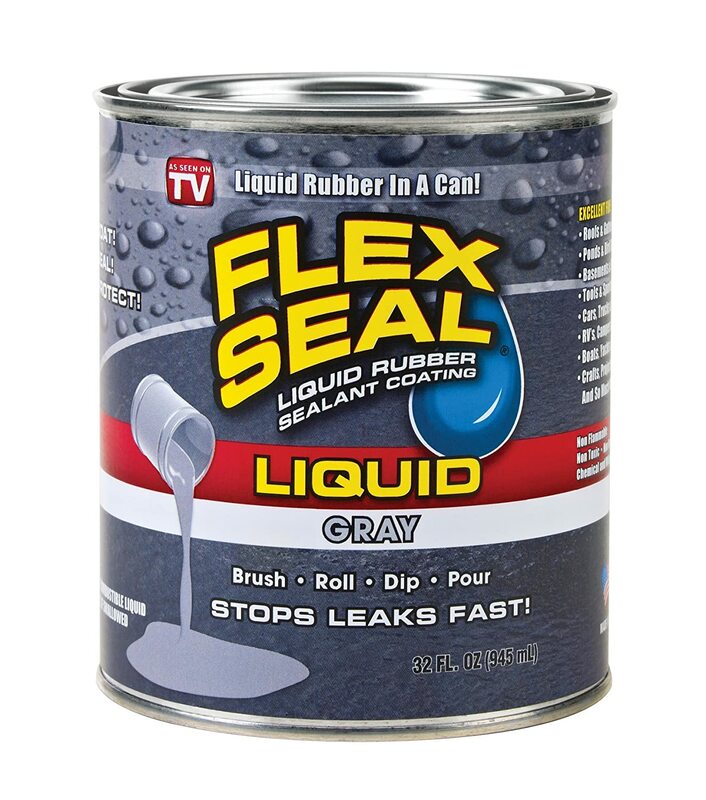 Make sure that you are aware that The Flex Seal Liquid Rubber in a Can needs several days to completely cure. That means you should not allow any water on it for those amount of days. If you are going to be using it on a roof, watch your weather forecast to make sure rain is not in the forecast for at least 3 days from when you apply it. In a sunny area, it will cure faster than if it is in a dark and cool area. Either way, make sure that it cures or you will need to take off what you put on and reapply it. A customer shared, "The product 'skinned' over in less than an hour, and took about 2-3 days to completely cure; my application was about 2 inches deep on average. After cure, the product seems very tough and durable, with good adhesion to the sides of the crack. We'll see how long it lasts to keep moisture and weeds out." The Flex Seal Liquid Rubber in a Can is made to brush or roll it onto your roof, and then let dry. This roof sealant is non-toxic. It seeps into cracks and holes, allowing it to seal out water. This roof sealant is designed to last for years because it is flexible and pliable. It will not sag or drip in the summer heat, nor will it crack or peel in the winter cold. Once cured, the Flex Seal Liquid forms a durable, breathable, weatherproof barrier that’s resistant to rain, snow, sun, wind, hail, air, moisture, UV degradation, extreme temperatures, and natural weathering. In addition to using this product on roofs, customers also found that it worked great on pools, driveways and outdoor flooring. 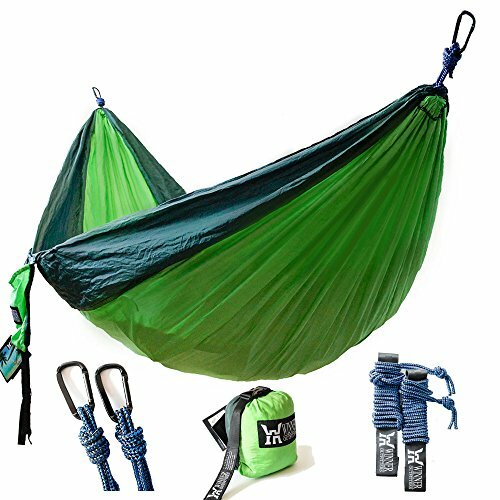 It is rather expensive but it is a good product that works well. Here are some top questions that I found for people considering buying the Flex Seal Liquid Rubber in a Can. How easy is the clean-up? Unfortunately, the clean-up can be a little messy. You'll need to wash the roof sealant off of your brush which can take a while. Can I paint the roof sealant once it is dry? Yes, you can paint it after it is dry. Can I use the Flex Liquid on concrete? Yes, many customers who bought this roof sealant used it on concrete. For best results, sweep off the concrete to make sure there's no concrete dust and then apply. Let it dry for 24 to 48 hours. It is recommended to not apply this to a high-traffic location.